in the film Alien... Nor do I like flying; in certain situations I feel real fear. However, I wouldn't describe either of these fears as being phobias. Why not? Because for me they are not so extreme that they affect the quality of my life: I can be in the same room as a spider; I regularly fly; I can watch that film. In effect, I can tolerate the fear that can be aroused by these things. And I do not think about them unless they present themselves. For those suffering from a phobia, however, the impact on every day life can be crippling. And it is this that distinquishes containable fears from debilitating phobias. .. a type of anxiety disorder where the sufferer has a continous and often overwhelming dread of something. They live in constant anguish of coming into contact with what it is they fear and will go to great lengths to avoid such a terrifying confrontation. Over time this avoidence can heighten the fear and make matters worse. Those who have a phobia are regularly or constantly restless, worried, unable to sleep or concentrate. 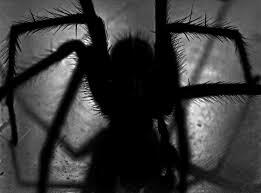 Research suggests phobias are more common in women than in men. They have been catagorised as either being specific or complex. Specific phobias are usually focused on a particular person, object or situation - examples are animal phobias, bodily phobias, situational phobias or enviromentmenal phobias. These invariably begin in childhood. Complex phobias, however, are more likely to become apparent in adulthood. Characteristically, they involve fear or anxiety about particular circumstances or situations. Examples of complex phobias include agoraphobia - a fear of public spaces where escape may be difficult and can trigger anxiety symptoms such as panic attacks - and social phobia (social anxiety disorder) - a fear of being around other people. .. are not clearly understood. There is opinion that they can be learnt in childhood if another member of the family suffers from it. There is some theory that there can be a genetic link - some people have a tendancy to be more anxious than others. In other cases phobias can be linked to early stressful or traumatic experiences that leave the person afraid of people, things or situation that trigger reminders of the trauma. The symptoms of phobia include ..
.. by a variety of means, dependent on the type of phobia and the individual involved. Gradual exposure to the fear thing or situation can in time, and with appropriate self care, reduce specific phobias. Taking therapy, counselling, can be successful for complex phobias where in time the person can gain insight and understanding and therefore a different perspective on the feared thing. In time anxiety is gradually reduced as a result of these new patterns of thinking and of behaving. Medication can also be an option for treatment.